Cascade County Sheriff Bob Edwards says he has a little empathy when talking to people about some of the unexplained things that go “boo” or bump in the night. He remembers his days as a detention officer working the late shift at the old county jail when he saw a mist through a video monitor that to this day he has no explanation for. It’s a scene often repeated in horror and thriller movies — good and bad — where law enforcement comes the rescue at the end to keep pure evil in check or have it slip away. Is this just another ghost story? No way, says one Montana expert on this topic. “Cops are trained observers so when I hear that a cop had heard or seen something possibly paranormal, I take it seriously,” said Karen Stevens, author of Haunted Montana and several other books featuring spooky tales from the Treasure State. “Unfortunately, most of them don't like to talk about it,” Stevens said. But Jon Goffena of Roundup, who spent 16 years with the Musselshell County Sheriff's Office, said he likes to talk about some of the bizarre unexplained encounters he had while on duty. He said he was checking a grade school one night and could hear what sounded like tiny footsteps upstairs and a child's laughter. He said he went into the room and the laughter stopped. However, he saw tiny footprints in the dust. Another time he went to a high school at night to check for vandalism. He could hear footsteps across the gym floor. He came around from a curtain on the stage and it set off motion detector lights. He gave chase, but at the time wondered why the other person's motion did not trigger the lights. "I was definitely in pursuit of something that wasn't there," he said. Goffena, now a horse trainer and security officer, said with an easy laugh the he was a believer even before he became a law enforcement officer. "I grew up on the ranch and saw some interesting stuff in the sky," he said. "I am a believer in what I saw." And he has a lot of stories. One of the more intense ones occurred when he was no longer a deputy. He once went to a hospital in Roundup for an allergic reaction. He was lying on a bed when a nurse wearing a uniform that looked like it came from the '50s or '60s entered the room. "She comes in and talks to me, takes my vitals ... visits with me briefly and I go back to sleep," he said. It was then that another nurse came in to take his vitals. He said he had already been tended to by a nurse, and gave her name. "She said they did not have a nurse by that name," Goffena said. He said some law enforcement officers will dodge these kinds of discussion because they are concerned with how it will be interpreted. "I have always been open," he said. "Most guys in law and enforcement are black and white. If you can’t prove it you didn’t see it. But Edwards, bracing himself for comments that he will be called crazy, will talk about his experiences, mostly because he has a witness: a co-worker. He said the old jail had cells on one side and an apartment for the sheriff on the other. At one time the sheriff was required to live in the jail. He was upstairs in the apartment side one night and heard footsteps coming up the rickety stairs. Edwards went downstairs and asked Mike, the deputy he was working with, who was upstairs. “I told him I was not going back up there,” Edwards said. He said he and Mike later were looking at a video monitor and witnessed a white mist hanging in the air around the hospital cell. “It looked like someone was blowing out cigarette smoke,” Edwards said. Mike went down to investigate, but he couldn’t see it. But Edwards could still see it on the monitor. Mike raised his hand to see if he could feel it and the mist shot off the screen. The mysterious mist never returned again. “I work at a Dillard’s in Florida, and there’s a possessed mannequin in my department. This particular mannequin stands near the front of the department, by one of the main entrances, and we use it to display dresses and gowns (I work in juniors). It’s always creeped me out. I feel like it’s constantly watching me. We have two or three other mannequins in the department, but this one just feels…wrong. One night, right before closing, I was straightening a rack of clothes near the mannequin when I heard a loud scraping sound. Only one other person was working with me that night, but she was downstairs returning a pair of shoes. I thought someone else had come to drop something off, but when I turned around, I saw that the mannequin was facing AWAY from the entrance instead of towards the door like it normally does. I won’t lie. After seeing that, I ran to the other end of the department and refused to move until my co-worker came back. I could have been imaging things, but I seriously doubt it. It’s always faced the front. I think it turned to watch me as I worked. But that’s not all. A few weeks later, I came into work for a morning shift and found the mannequin in one of the dressing rooms. I was pretty freaked to find it there, but assumed one of my co-workers had moved it. Soon after that, a member of the visual team came by and wanted to know where the mannequin was. I told her it was in the dressing room. She got pretty mad because apparently the night before, she’d dressed the mannequin in one of our expensive gowns and had created a prom-themed display. I asked around, but everyone denied moving the mannequin. I’m not the only one who’s had an experience. My co-worker Rebecca was walking by the mannequin one night when she heard someone hiss, ‘Leeaave.’ She swears the mannequin also turned its head, but I can’t verify that. Another time, a customer was checking out the price tag on a dress the mannequin was wearing when she she felt a shock, like she had been electrocuted. She actually shrieked pretty loud, and my manager rushed over to see what was wrong. He’s heard all about the mannequin, but doesn’t believe there’s anything to the stories. The latest, and perhaps creepiest thing, happened this week. A few days ago, one of our customers lost a locket while trying on clothes. She was really upset because her dad and given her the locket, and he’s since passed away. We looked all over the dressing room, and all around the department, but didn’t find it anywhere. The girl left crying, and I felt really bad, but I didn’t know what else to do. Anyway, last night I walked by the mannequin and found the damn locket hanging around its neck! Even more disturbing, the locket was empty. The picture that had been inside was gone. I seen a movie like this once. They finally stuck her in the shredder and ground her to bits. Out-of-body experiences, meanwhile, are now accepted neurological phenomena, while certain visual illusions could confound the healthy brain and create mythical beings. For example, one young Italian psychologist looked in the mirror one morning to find a grizzled old man staring back at him. His later experiments confirmed that the illusion is surprisingly common when you look at your reflection in the half light, perhaps because the brain struggles to construct the contours of your face, so it begins to try to fill in the missing information – even if that leads to the appearance of skulls, old hags or hideous animals. So any combination of exhaustion, drugs, alcohol, and tricks of the light could contribute to single, isolated sightings, like that reported by Churchill. But what about the experiences of people like Conan Doyle, who seemed to see other-worldly actions on a day-to-day basis? 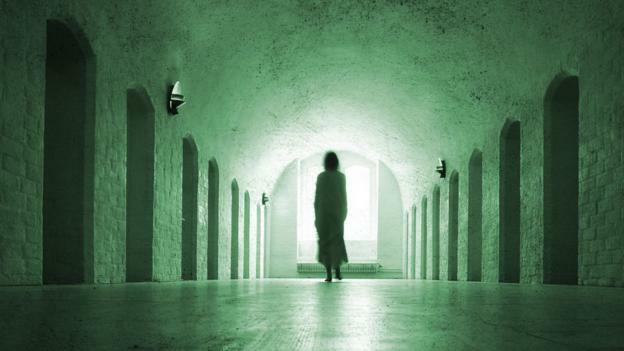 Can Reading A Book Open A Paranormal Door? In the latter part of 2017, a friend of mine, Sally, who like me lives in the Dallas-Fort Worth area of Texas, borrowed my copies of Nicolas Remy’s Demonolatry and Francesco Maria Guazzo’s Compendium Maleficarum. They are both in-depth studies of witchcraft. The very night that Sally began reading Remy’s book, she had a traumatic encounter with one of the creepy Shadow People, who manifested in her bedroom in the early hours – and while she was plunged into a state of sleep paralysis. Sally is convinced that just the act of reading the book somehow “alerted” a supernatural entity to what she was doing. And, as a result, she was visited by a Hat Man-type shadow-figure. Then there’s the matter of Albert Bender, the man who – in almost single-handed fashion – began the Men in Black controversy, in the early 1950s. Bender was someone who had a deep interest in the occult, one which predated his experiences with the MIB by almost a decade. It’s a little known fact that Bender’s first encounter with the MIB occurred just hours after he finished reading his copy of Kurt Seligmann’s book, The History of Magic. Bender shared the story with a New Zealand-based UFO researcher, Harold Fulton, and – as far as I know – with no-one else. This encounter takes place when I was 13, June at the time. Myself and three of my friends, aged 13-14, who I'll call Sam, Cam and Ned, take a four-day camping trip on the Wisconsin River in Southernish Wisconsin. I have a LetsNotMeet story for just about every state park or natural area of note in the state of Wisconsin, many involving this gang of kids. I Just remembered this one today so I thought I'd share. For those of you who aren't familiar, the Wisconsin River is relatively long, relatively wide, and has long shallow stretches as deep as a couple inches to a couple feet; you have to walk your canoe through some of it. Moist sandbars run down the middle of the river. The adult on our trip was Cam's grandma. Even well into her 60s, she had wilderness skills. She has incredible stories, from viciously biting home invaders to protect her daughter, to hiking through remote mountains at midnight and sleeping surrounded by wild horses. Major "peace, love, and happiness" type from the 60s. One of the most fascinating people I've ever met. Anyway, we set up camp on a beach about 3pm on our first day. There's a lone, still fisherman slightly upriver from us. This is strange given we're mostly in the middle of nowhere, but there are occupied properties here and there on the river, so it's not crazy. Immediately after we arrive, grandma realizes she forgot her coffee cup in the car. What the hell, grandma. She decides to make the kayak trip by herself back upriver to where we parked, just to grab the cup and come back. Left alone, us boys go off to play in the river shallows. Landscape-wise, there's our beach, with dense forest behind it, and a strait about 90 meters across between the beach and a sandbar. We're screwing around in the shallows for maybe 30 minutes. Then I remember being on my stomach in the water and looking up at Sam staring all glazed into the distance. We all look. The fisherman from earlier is on the sandbar about 50 feet from us. None of us remember him getting so close, especially since he has no boat and would have to wade through the water. I remember there being a strange glare from the sun so we couldn't make him out perfectly, but he was a thick man with a droopy long-brimmed hat. We could not see his face but collectively had the feeling he was looking at us. It was obvious he knew our adult left, and decided to close in. The timing was perfect. "Whatever," we say and head back to the tent. We're behind the tent for maybe a half hour playing cards and gathering firewood. We take turns peeking around the tent to check on the status of the fisherman. He's moved in, off the sandbar, through the shallows, practically on the shore of our beach. Yes, the river is an open area, but it's unspoken that you wouldn't wander onto someone's campsite, especially when kids are alone there. We're weirded out, and Sam, being a badass 13 year old, breaks the ice by waving his arms and yelling at the man "hey! what's up! hey!" No response, but man turns his body towards us, staring, completely still, like wildlife caught in headlights, or Bigfoot in one of those blurry photos. After a few seconds, he does a 180 and just starts walking away from us straight back into the water, like he intends to keep walking until the water comes up around his face. Cam says something along the lines of "what the hell, Sam" and we move to hang out at the other end of the beach. It's been 3 and a half hours since grandma left, and we have no idea when she's supposed to be back. We're on the complete opposite side of the beach from our camp, and due to the forest we couldn't even see it. But as we round the bend again, we see the man standing on the shore, practically on our campsite. He's walking around our bags, like he's patrolling the perimeter of the camp. Not his camp, our camp. Little more than a silhouette. And he has something. Not a fishing pole. I was never brave enough to get close and check it out in detail, but all three of my friends will tell you he had a rifle. Over his shoulder. From where he got it we don't know. He should've been able to see us from where he was, but he didn't close in any more. We decide to play it cool all the way over behind the trees where we are. Luckily, grandma arrives on her kayak shortly. We call her over to us to tell her everything, but I swear to you, by the time we pointed over her shoulder to show her the fisherman, he was gone. Like a vision. We saw him one more time, late that night we were having a fire. The moonlight on the water illuminated his shape all the way back across the river where we saw him the first time, fishing in darkness. We said "f*ck that guy" and went back to making torches.